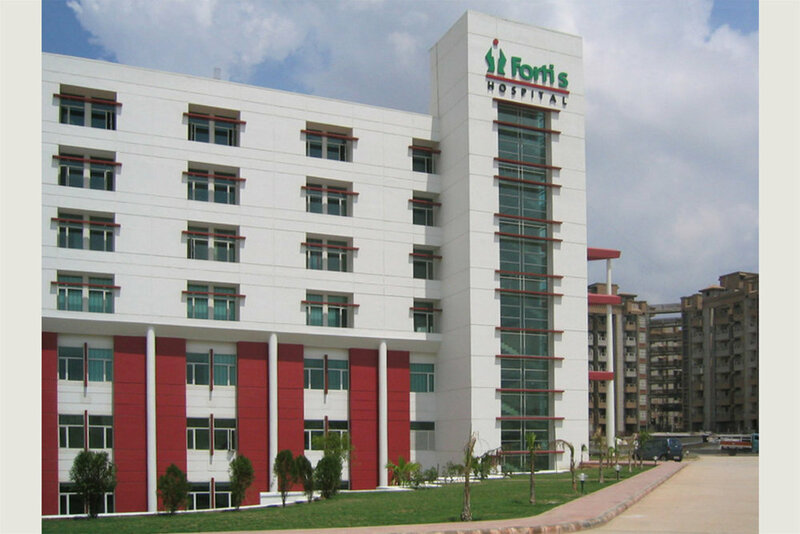 NOIDA, INDIA Fortis Noida Hospital is a 154 bed facility located in Noida, near Delhi, with centers of excellence in Orthopedics and Neurosciences as well as a focus on Minimally Invasive Surgery, Cardiac Services and Oncology. Integral to the campus is the Multi-Specialty Outpatient Center providing comprehensive outpatient services. 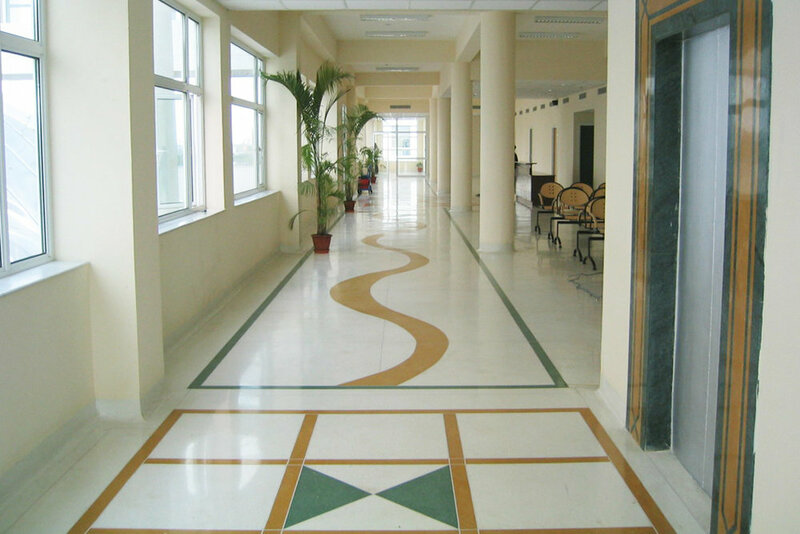 The distinct forms of the triangular Nursing tower and the rectilinear Diagnostic and Treatment and Outpatient Services Building make destinations easily recognizable and wayfinding simple.